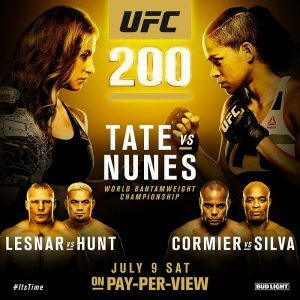 UFC 200 goes down today Saturday, July 9th at the T-Mobile Arena in Las Vegas, NV The blockbuster card has a main event a title bantamweight fight between champion Miesha Tate and challenger Amanda Nunes. The Ultimate Fighter Season 23 finale takes place today, Friday, July 8th, 2016 at the MGM Grand Garden Arena in Las Vegas, Nevada and the main event is a women’s strawweight title fight between Joanna Jedrzejczyk and Claudia Gadelha. UFC Fight Night 90 takes place Thursday, July 7th, 2016 at the MGM Grand Garden Arena in Las Vegas, Nevada and the main event is a lightweight title fight between current champion Rafael Dos Anjos and Eddie Alvarez. 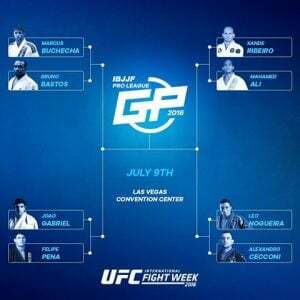 The highly anticipated Pro League Grand Prix bracket has been released by the Federation.